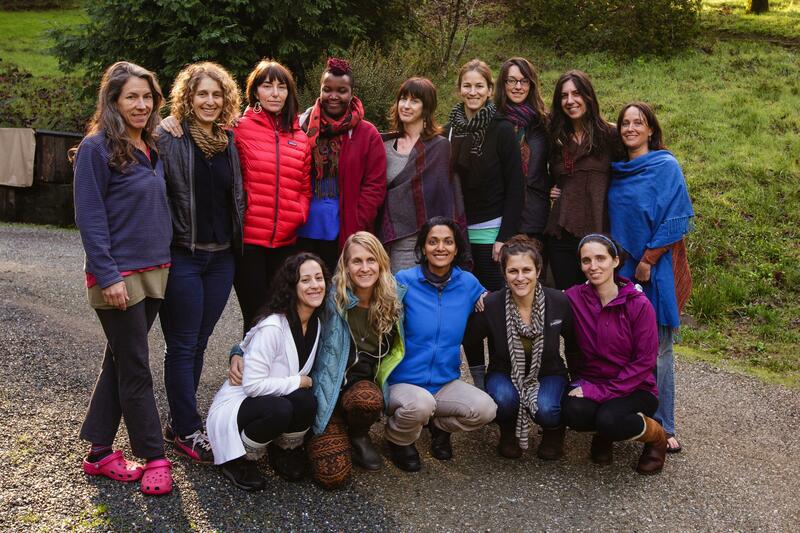 ​ We’ve just returned from the first annual Replenish Winter Reflection and Strategy Retreat for Women Entrepreneurs. And not only do I feel incredibly inspired, fed, alive, and reminded of my love for gathering community and creating spaces for people to connect, I am again struck by the power of a group to create magic far beyond what I could ever have planned for. One-on-one work goes deep in its own beautiful way. And, I was reminded this past weekend that we humans thrive in community, both as participants and facilitators. 1. Community supports us in stepping into the next stage of our lives and in becoming a new version of ourselves. We need examples of like-minded people who have walked the path before us, to be inspired by what they are going through and have accomplished nonetheless, and to be reminded where we all tend to get stuck (what a relief, you went through that too?!). But more importantly, we need a community that can hold a vision for us as we step into our new identity (see the book Working Identity for more on this). The group creates safety and provides encouragement. And it can do so in a way that our existing social or professional circles may not. When we transition into a new career or take our business to a new level, we need to surround ourselves with people who get that and are doing it themselves, and not get stuck in the old patterns and even relationships that are holding us back from success as we define it (sometimes even our loved ones are afraid of our success, because it can change the status quo). 2. We need a chrysalis – a safe container for transformation. We need a protected space to make big changes in our lives. While this can certainly happen alone or with one other person, a group provides a larger cocoon. More hands holding, more good intentions set, and more possibilities for support. 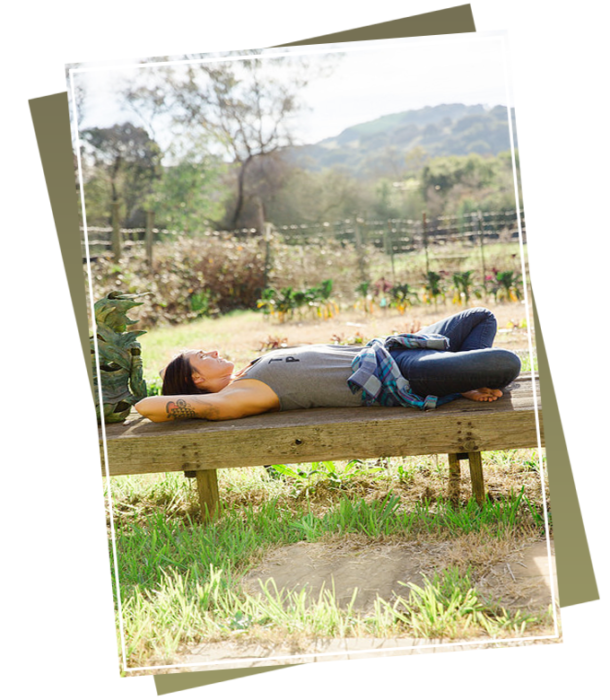 A well-facilitated group with respectful agreements can be the birthing grounds for change. Not to get too woo on y’all, but the energy field that is created with a group of intentional people has the power to hold, shift, unify, and create. And the chrysalis is a secure base from which we can fly. 3. Groups provide more surface area for magic. This means that the more people, the more possibilities for building and bouncing off one another’s wisdom, inspiration and ideas. It means more creative brainstorms, more ways to do things, more possibility. And this translates to more learning and richer experience for all. 4. The business partnerships, referrals, support and friendships are real. When you draw together a bunch of kindred spirits (one of the things that happens when you’ve done a good job defining your niche), they will inevitably fall in love with one another. They will have three days and three nights to listen, learn, and connect with one another. They become friends and colleagues. They trust one another so much that they will refer their friends and colleagues to their new contacts. They will call on one another to collaborate on a new project or get support with something they’re new to. And they’ll have someone they can call when they’re really feeling stuck about how things are going. 5. The facilitator does not have to do or know everything. The wisdom in the room this weekend was palpable. Not only did I have support on a practical level (people helping to clean up or add wood to the fire), but the simple sharing of each person’s experience was always a lesson to everyone else. The gentle suggestions offered, the stories of personal experience, the expertise in craft (from mindfulness to therapy to finances to ecology) made every single woman a teacher. The facilitator is not supposed to know everything. In fact, a good facilitator knows how to elicit wisdom from a group and not try to answer everything herself. She also gets to learn how to move with the needs of the group and be less attached to the original plan. She learns to trust others to support her. And what a profoundly beautiful feeling to step back from what you’ve created and witness people holding and supporting one another, laughing, connecting and listening deeply to each other’s stories and experiences… while you smile from afar. I truly cherished meeting all of you and sensing your support and positive vibrations in how we help each other face our challenges while making positive steps forward in creating clarity for the future. Being surrounded by a group of great, supportive women felt like something I really needed. What a great experience to be surrounded by so many strong, grounded, kind women and facilitated by Julie! It was such a pleasure to meet each and every one of you. The experience for me was so much richer and more powerful because I was doing it along side all of you. A highlight for me was being in a group of such accomplished, wise, kind, strong women and feeling like I belonged. 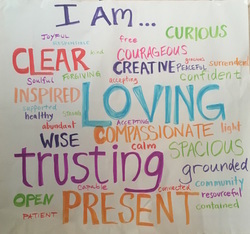 Our collective word cloud of what each woman is stepping into this year! Don’t worry if you missed Replenish this year, we’ll be doing this again!And PS – Stay tuned for pictures coming next month from our talented Lady of Light!